Uncanny X-Men #24 Cover by Kris Anka. 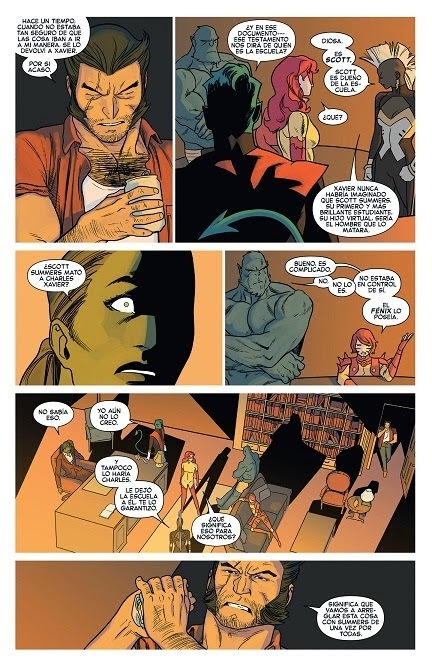 "Maybe this is that one time in the history of our history where everything I just chill and low key and..."
We were left on the edge of our seats from Uncanny X-Men #23. So much happened, so much was set up, and Uncanny X-Men #24 is delivering on the same level. With the mysterious new mutant Matthew revealing more about himself, the reading of the will of Charles Xavier, reunions, and Dazzler's new personification, we barely have time to catch our breath before issue 25. As far as the story goes, Brian Bendis hasn't missed a beat since the previous issue. Uncanny X-Men #24 is as revelatory in its narrative as ever. Happily, we see some common sense coming to the fore in the plot details as well. 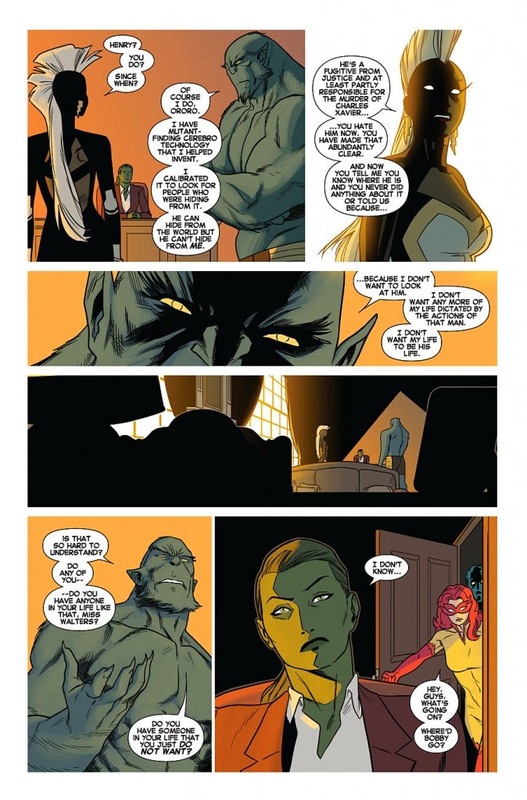 Beast reveals in a nonchalant manner that he has known about Cyclops' secret school headquarters for some time. Xavier was married to Mystique, which helps explain some of the sequence of events from recent issues of the All-New X-Men series and the Battle of the Atom event last year. There is a even a little meltdown from Iceman, although it is not played up as well as it could have been for the setting and mood invoked by this arc. Gather for the Will Reading. With the future of the Jean Grey school now up in the air due to Wolverine signing it back to Xavier prior to Grey's death, the ending comes up abruptly as the image of Xavier plays from a Shi'ar hologram projector. The pacing is quick in this issue, with little time for the reader to ruminate of the finer details as you race to the end cover. Panel arrangements support the pace, and the art by Kris Anka is clear and crisp. The colors are peeled back a little, and I sense the reason is to not distract from the narrative. Clear lines and a thin inking also help support the quick interactions and snappy dialogue in this issue. Wolverine is ready for a showdown. We get to see more of Matthew Malloy in issue 24 of Uncanny X-Men. We don't yet know how he will fit into the larger story here, but from the look of his power during this issue, Matthew will no doubt be an interesting figure for the future. The fact that he is already causing trouble for S.H.I.E.L.D's Maria Hill means that he will sooner or later cross paths with her other favorite mutant, Cyclops. I look forward to seeing how this will play out. Despite this cover's portrayal, Dazzler doesn't really feature much in this issue. Apart from a large shot of her mid-way through the issue, we don't get to see much of her new outfit. 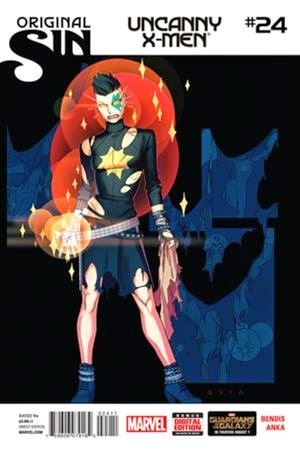 From what is shown, the punk-angst rebellious getup is appealing as a point of difference for the Uncanny X-Men group. The look of utter shock on all those present at the reading of the will certainly leaves you wanting more, and with Uncanny X-Men #25 out this week, we don't have to wait long. What did you think about this issue? What surprise will we have coming next? Leave your thoughts and comments below.